It was a quiet weekend around these parts, with much baking and experimenting in the kitchen by yours truly. We actually went out twice but somehow still found time to nest. There was talk with some good friends over some delicious Pad See Ewe on Friday night about having a “Pho Night,” and you better believe that will get documented here! And yes, I did make chili last night…because even if I don’t know what the flip is happening on the field, I can still enjoy the down-home American Superbowl tradition of staring blankly at the TV over a big bowl of homemade chili and beans. I even topped it with bacon (find the chili recipe here). For now, here’s my Saturday experiment. 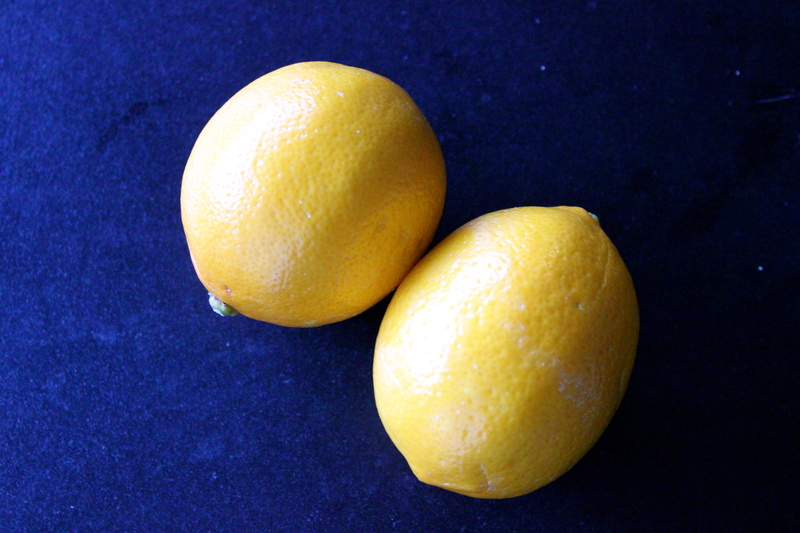 With the leftover Meyer lemons I had from my trip to the market earlier this week, I wanted to feature them in a couple other ways. 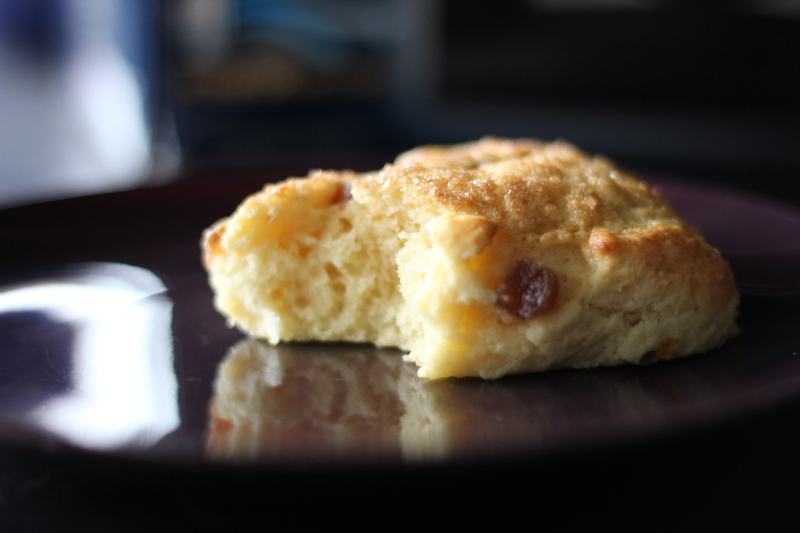 My main man Mark Bittman’s basic cream scone recipe sounded like a good platform to build from. If you’ve never made scones before, they are a breeze. Basically a biscuit (possibly the most unfussy baked good on the planet), they are rich and light as air. And you can mix in just about anything you might add to muffins…like dried cherries, chocolate chips, or sharp cheddar cheese and herbs. Welcome to the world’s best breakfast biscuit, and the quickest way to satisfy that part of you that needs something just sweet enough in the morning. These babies will fix you right up. These are not exactly low-fat, but that’s not really the point, is it? I love ginger, so I chopped up some candied pieces I had on hand into different sizes. I think this really added to their charm—there were a few sizeable chunks, and some really tiny ones that just added a bit of peppery spice to the overall flavor. The texture is out of this world, and the key to this is to not mix the dough too much. Handling your dough with care will produce soft, pillowy, buttery-rich beauties that will be inhaled. Don’t expect to have leftovers. Note: Feel free to substitute whatever flavors you have on hand—1/3 cup to ½ teaspoon is a good ratio. Try: coconut flakes and lime zest, fresh blueberries and orange zest, or grated extra-sharp cheddar and fresh dill (use a full teaspoon). If you’re going the savory route, skip the sugar on top and reduce the sugar in the dough to 1 teaspoon. Leaving out the zest won’t harm anything, but it’s a nice hint of extra flavor. 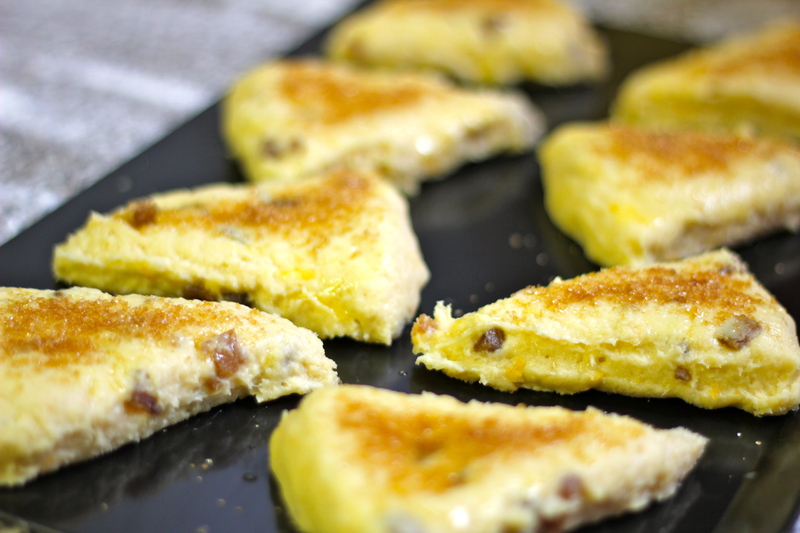 Try grating a little extra zest (or cheese) on the top too, if you like! Beat 2 of the eggs with the cream and vanilla in the smaller bowl. Make a well in the center of your dry ingredients and pour in the egg mixture. Using a wooden spoon or spatula, combine with a few swift strokes. Gently but briefly mix in the candied ginger. 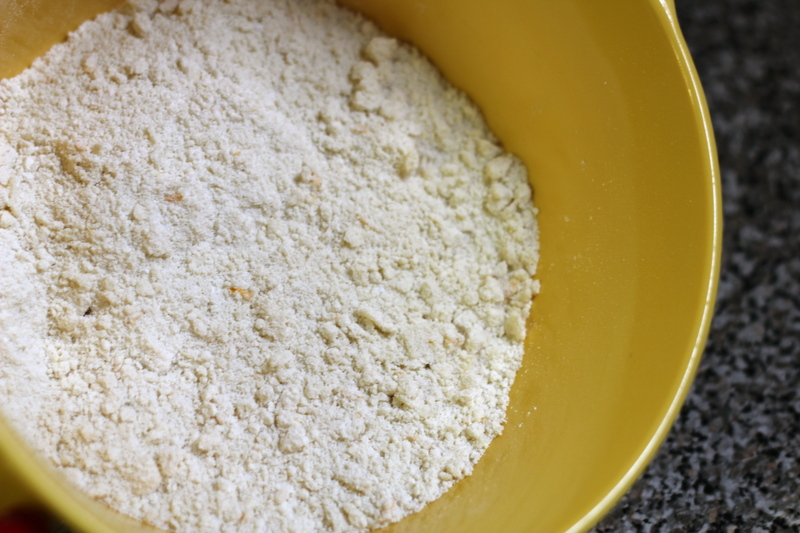 Turn the dough out onto your lightly floured surface and knead about ten times. The dough will be pretty sticky. If you need to add a little more flour, go ahead, but very little. It will stick to your hands a bit, that’s good. Press the dough into a ¾ inch thick circle and cut it into eighths like a pizza. Transfer the pieces gently with your hands to the ungreased baking sheet. Beat the remaining egg with a tablespoon of water and brush each scone with a bit of this wash, sprinkling each one with the remaining tablespoon of sugar. 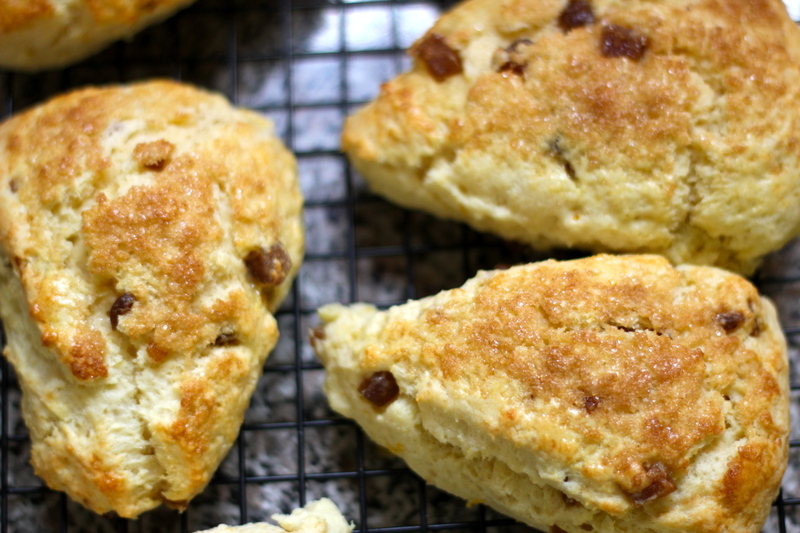 Bake for 7-9 minutes, or until the scones are a beautiful golden brown. These should be eaten the same day you make them—a late breakfast treat, or a nice little afternoon snack with tea! These sound really lovely and medicinal – I mean that in a good way. They also happen to look properly incredible. Well shot pictures, and even better recipes you got here! thanks, 7theaven! Very kind of you to say.